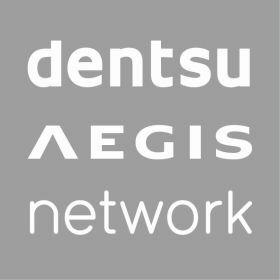 Dentsu Aegis Network is Innovating the Way Brands Are Built for its clients through its best-in-class expertise and capabilities in media, digital and creative communications services. With consumers more connected, through a range of devices, than ever before, the era of media convergence is presenting many opportunities as well as a new, complex media eco-system. From identifying who the consumers are, to how they make their decisions, Dentsu Aegis Network and its brand businesses of Carat, Dentsu, Dentsu media, iProspect, Isobar, mcgarrybowen, Posterscope and Vizeum make the best use of today’s media mix to bring to life the right communication strategy and deliver the best results for clients. 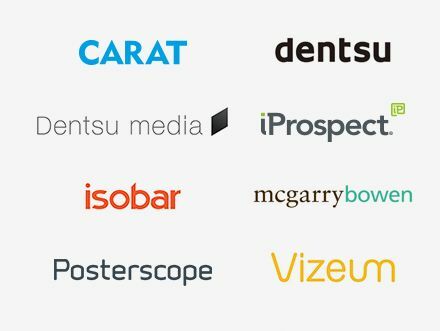 Through our five network brands Carat, iProspect, Isobar, Posterscope and Vizeum, Dentsu Aegis Network provides best-in-class expertise and capabilities in brand, media, digital and specialist communications through our original holistic and integrated approach. Our communications services include digital creative execution, content creation, media planning, marketing, SEO strategy and marketing analytics. TEDxTableMountain in partnership with Carat South Africa are inviting you to their next highly anticipated event! We are happy to announce that we can finally unveil the next TEDxTableMountain event coming up next Wednesday, the 25th of May! Stand a chance to win a seat at the Dentsu Aegis Network SSA, DigiTalk in Nairobi Kenya on 19 May 2016, where we will discuss how Tech will revolutionise Kenya. Dentsu Aegis Network SSA will be hosting an exclusive DigiTalk in Nairobi Kenya on 19 May 2016, touching on topics such as the internet of things, data, programmatic, digital disruption, with a panel discussion on Winning in the Digital Economy. We are delighted to announce that Bruce Burgess will be taking over as the leader for Posterscope in Sub Saharan Africa. Koo Govender, former VWV group CEO and M-Net Director of Marketing and Communications, has been appointed as CEO of Dentsu Aegis Network for South Africa and will be reporting into Dawn Rowlands, CEO Dentsu Aegis Network Sub Saharan Africa. Vizeum has been appointed by Arla Foods, the world’s fifth-largest milk manufacturer, as its media agency of record, following a keenly contested pitch. On the back of a brilliant year, Vizeum South Africa took the top accolade in their category, winning the Media Agency of the year award at the annual Adfocus Awards for the first time. We are proud to announce that Vizeum was awarded with three Assegai Awards. We are delighted to announce that Carat won two awards at the Advertising and Media Association of South Africa (AMASA) Awards. Dentsu Aegis Network today announces the formation of a ninth global network brand, MKTG, the lifestyle marketing agency it acquired in August 2014. In what aims to become the world’s largest ever advertising campaign, out of home (OOH) communications agency Posterscope is proud to announce their participation in Project Everyone, the brainchild of filmmaker and Comic Relief founder Richard Curtis. We are proud to announce that iProspect South Africa walked away with an outstanding 29 awards, two of which were gold and 27 silver at the 10th annual W3 Awards. We are proud to announce that Carat and Isobar South Africa, together with BBDO Africa and Abbott Mead Vickers BBDO, won a silver and bronze award at the prestigious Loerie Awards. iProspect South Africa, a member of Dentsu Aegis Network, has been appointed as the digital performance partner to Mercedes-Benz South Africa Passenger Vehicles, following a pitch process of six months. Dentsu Aegis Network today announces the acquisition of two leading media buying and planning agencies in Ghana, Adams Media Ghana Limited and Premier Media Company GH Limited (“Premier Media”). Adams Media and Premier Media will be rebranded as Carat and Vizeum respectively and collectively form Dentsu Aegis Network locally to become the leading media agency in Ghana, the second largest West African economy. Specialist Out-of-Home (OOH) Communications Agency, Posterscope, and its specialist partners Outdoor Auditors are currently in the field auditing billboards across South Africa. Is there a place for niche magazines in a world where media planners have to be accountable and justify their placement choices through robust data and experience? Dentsu Aegis Network is very excited to announce the launch of AMPLIFI in South Africa. iProspect’s newest senior management member, Wayne Zwiers has been appointed Managing Director of the Johannesburg team. Previously, when logging into an app or website that uses Facebook Connect, users were asked for permission to various pieces of information linked to their Facebook account. One of these requests (often unnoticed), is access to the information of your friends. Now, with the enforcement of version 2 of Facebook's Graph API, apps are not able to collect this data or even ask for it at all - with the aim to improve users’ trust. We are very excited to announce the launch of AMNET, Dentsu Aegis Network’s programmatic & real time bidding platform, in South Africa. Jaco Lintvelt joins AMNET to lead this new division of the business in South Africa. Dentsu Aegis Network Sub-Saharan Africa is excited to announce that both network brands, Carat Division and Isobar, have won bronze at the Global Dentsu Aegis Network Innovation Awards for Best Use of the Dentsu Aegis Network Operating Model. iProspect is thrilled to announce that it has won the Gold Award for Best Use of Branded Content for the Mercedes-Benz GLA Adventure campaign at the Dentsu Aegis Network (DAN) Innovation Awards. Following an integrated and competitive pitch process, BMW Group South Africa has reappointed Vizeum as its media strategy, planning and buying agency for its above-the-line and digital communication business. However, for the new contract period, Vizeum has also been appointed the media strategy, planning and buying agency for MINI South Africa.